Focus on people! 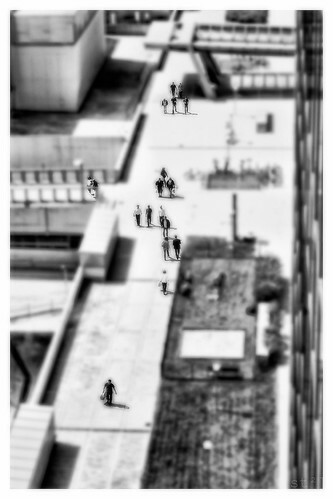 – a tiltshift which is none. Focus on people!, a photo by stst31415 on Flickr. A lot of people know how tiltshift works. Even more think, that they can do good tiltshift. Mostly the tiltshift is dull and SOOC (straight out of the camera) lacking the subtle details which make your mind go BOOM! I tried a different approach. Like in one of my older pictures, where a man stands sharp as he is in the middle of the blurred zone on a tiltshift, I wanted all the people to be standing out of the landscape. It is a picture about the people in the backgound. I think I could have also called it “Ode to the people in the background”.